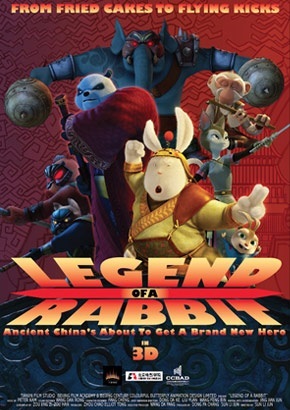 EXCLUSIVE: China’s Tianjin Film Studio has sold 3D animated feature film Legend Of A Rabbit to Italian distributor CDF Pictures. CDF is planning an August theatrical release for the $12m film, directed by Sun Li Jun.The story follows a humble farmhouse rabbit who has to step out of the kitchen and take on ancient Beijing’s baddest panda in order to save the fate of China’s Kung Fu Academy. The film has already sold to several Asian territories and is scheduled for a wide release in mainland China at the end of July, 2011 through China Film Group.